Now it turns out that other employees are also to blame for the review failures. While 291 permits have since been revoked, it raises the question of whether government officials could be held responsible for any injuries caused by incorrectly issued permits. Can I Sue the Government for Not Reviewing Background Checks? There’s a legal doctrine called sovereign immunity that protects the government from being sued without its consent. Florida law waives this protection in personal injury claims against the government but caps the amount of available damages. Generally, Florida and its municipalities can be held liable for up to $200,000 per person and $300,000 per tort claim. The legislature doesn’t approve every claim bill or always pay the full amount that’s requested. It can also take years for the legislature to act on the bill. An experienced attorney can help you navigate the claim bill process. How Do I File My Claim Against the Government? The first step is notifying the Division of Risk Management. Submit the notification in writing and within three years of the accident. You can’t file a lawsuit for another 180 days, during which the division will investigate the claim. If the division approves your claim, then litigation isn’t necessary. If the division denies your claim or fails to act, then it’s time to consider a lawsuit. Remember that you only have four years from the date of the accident to file a personal injury claim in Florida. Don’t wait the full three years to notify the division about your claim. Also keep in mind that municipalities might have different processes for filing a damages claim. An experienced attorney can help you figure out how to proceed with your claim. 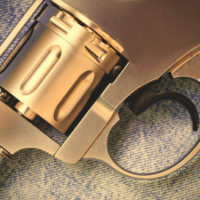 Contact a Tampa personal injury attorney at The Pendas Law Firm today for a free consultation if you were injured, or a loved one was killed, in a gun-related incident. We will examine the facts of your case and help determine who is responsible for your injuries. The shooter is the obvious culprit, but maybe the shooter shouldn’t have had a gun (or gun permit) in the first place. Let us help you seek the compensation that you deserve. The Pendas Law Firm also represents clients in the Fort Lauderdale, Fort Myers, Miami, Orlando, Jacksonville, West Palm Beach, Daytona Beach and Bradenton areas.